We respectfully urge you to make your opposition to the Port Ambrose LNG deepwater facility known to Governor Cuomo, and to request his veto of the project. We are members of, and organizations in alliance with, Bronx Climate Justice North, the first grassroots climate justice organization in the north Bronx. We come from neighborhoods throughout the borough, and are formally allied to Bronx Climate Justice South, a coalition of environmental justice organizations in the South Bronx. 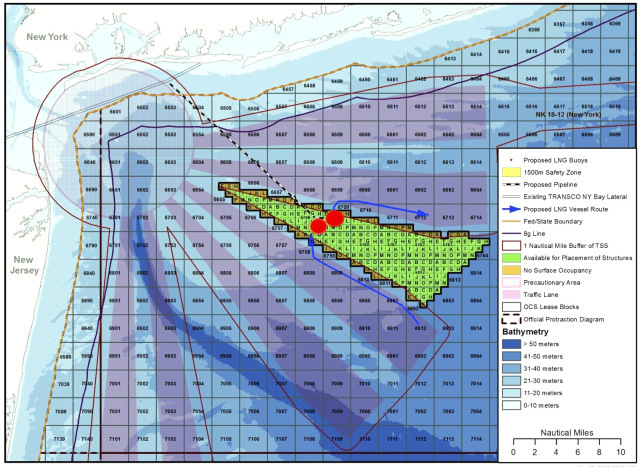 Port Ambrose is a marine facility for off-loading LNG (Liquefied Natural Gas), proposed for construction off of Jones Beach, NY. Two buoys would be tethered to the ocean floor, connecting ships to a proposed undersea pipeline that would deliver into existing gas infrastructure on Long Island. Tankers the length of the Empire State Building would moor at the facility on a weekly basis to off-load LNG. 1) Climate change hazard: LNG is methane that is cooled to -260 degrees F to liquefy it. This process concentrates its volume 600 times for transport on tankers. The process of liquefying, transporting, and re-gasifying is extremely expensive. 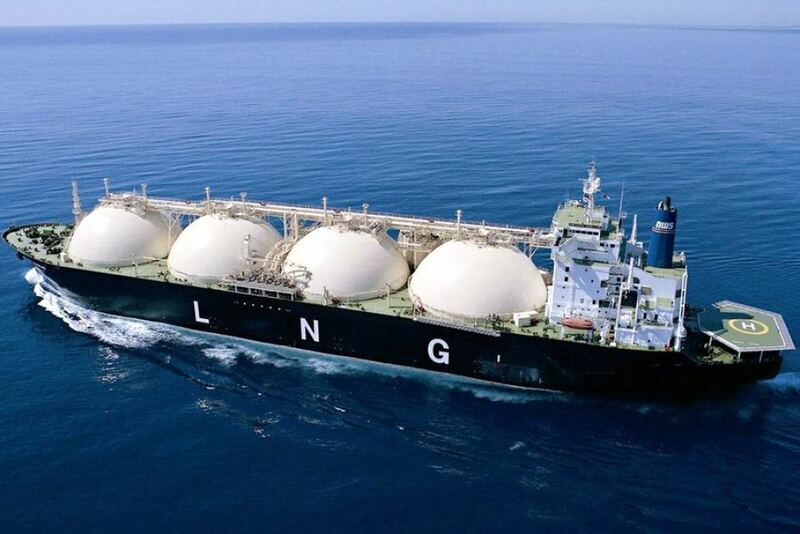 More importantly, LNG has a climate footprint 40% larger than domestic shale gas, which itself is a greenhouse gas 86 times more potent in its global warming effect than carbon dioxide. 2) Displacing a proposed wind farm: Port Ambrose has been proposed for the same location as a 700MW offshore wind farm (enough power for 200,000+ homes). For New York to go 100% renewable, Professor Mark Jacobson of The Solutions Project and other energy experts have concluded that 40% of our power needs to come from offshore wind. 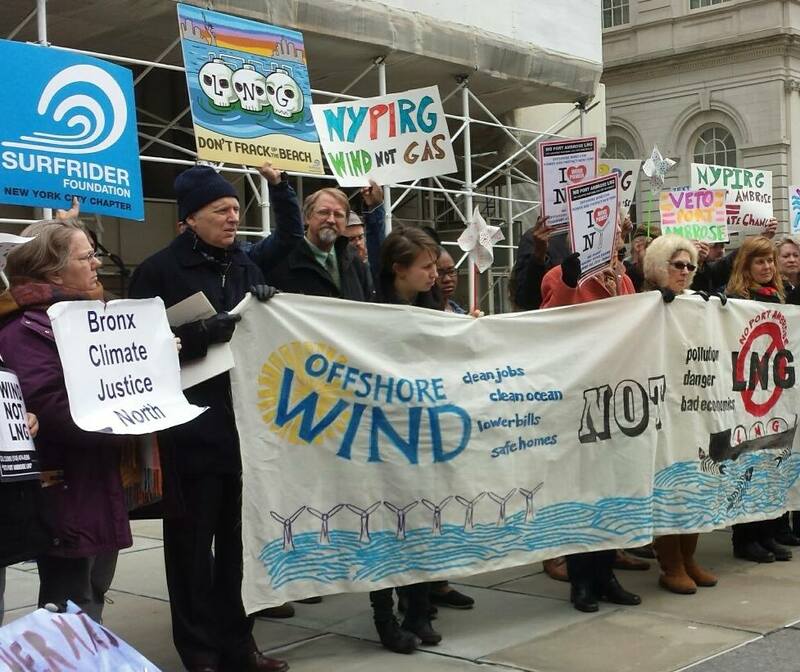 Polls show that 90% of NY and Long Island residents support offshore wind. The Natural Resources Defense Council (NRDC), based in New York City, issued a report that stated that if Port Ambrose goes forward, the wind farm cannot be built. 3) Damage to the local marine environment: Dredging for the pipeline would likely release a layer of toxins dumped on the ocean floor decades ago. The buoy mooring lines would continually scrape the ocean floor, permanently damaging the marine ecosystem, and potentially disrupting commercial fishing and tourism. 4) Terrorist threat: If a tanker were ruptured, the LNG would form a vapor cloud that could ignite, with catastrophic results. According to the Energy Department, an LNG fire would be hot enough to melt steel at distances of 1200 feet, or cause second-degree burns on exposed skin a mile away. Professor James Fay of MIT says that there is no way to put out that kind of industrial fire. Al-Qaeda has cited LNG, particularly LNG-bearing ships, as a desirable target. To build such a facility near the busiest harbor on the East Coast, near three major airports, is reckless. The Council on Foreign Relations has expressed serious concern about a scenario in which terrorists tow an LNG tanker into a populated area. 5) Who’s behind Port Ambrose? A corporation named Liberty Natural Gas, about which it is difficult to uncover information. Liberty claims that Port Ambrose would be an import facility. But with the United States awash in low-priced gas, the likelihood is that Liberty would apply to convert Port Ambrose to an export facility, allowing the company to obtain higher prices in foreign markets, in turn spurring more environmentally damaging fracking in the U.S., as well as higher fuel costs for domestic gas consumers. During the public comment period on the draft Environmental Impact Statement (EIS), an astounding 62,000 public comments were submitted in opposition to Port Ambrose. For the second time, the clock has now been stopped on the project’s approval process by the U.S. Coast Guard and the U.S. Maritime Administration due to the volume of public opposition and the need for more analysis for a final EIS. Fighting projects like Port Ambrose is an unconscionable waste of time and effort by the public and by our representatives, whose talents and resources are desperately needed to move our state toward a renewable energy economy, and away from the precipice of run-away climate change. Fifty-two state legislators, led by Assemblymember Linda Rosenthal and State Senator Brad Hoylman, have sent a bipartisan letter to Governor Cuomo, urging his veto of Port Ambrose. In addition, NY City Councilman Donovan Richards has written Resolution 549, requesting that Governor Cuomo veto the project. The public hearing for the resolution is April 1st. Resolution 549 currently has 19 co-signers, with 16 more needed to assure passage. 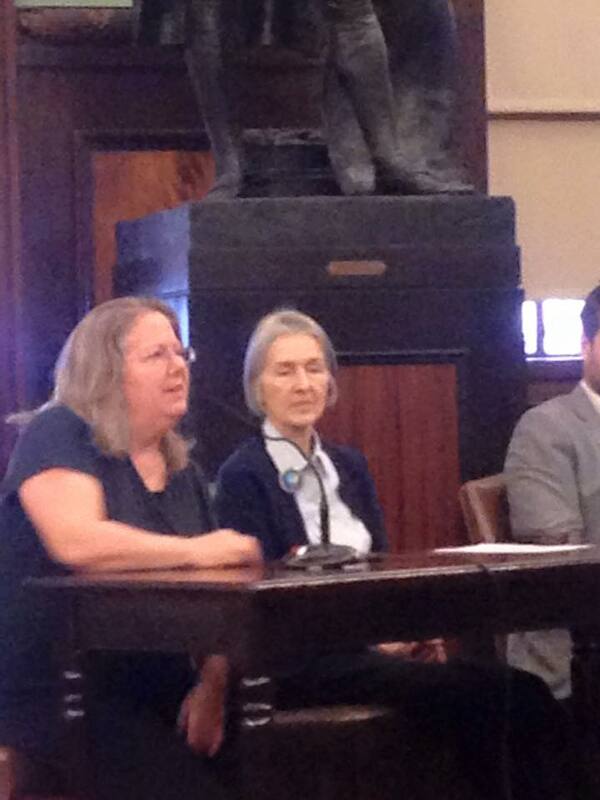 We urge NYC Councilmembers to sign on before April 1. It would be difficult to overstate the significance of the decision on Port Ambrose. This decision represents a turning point in the struggle to move our state in a sane energy direction. It represents a choice between the old world of fossil fuels and the new world of renewable energy. We are counting on you to add your voices to ours. Climate activists gather on the steps of New York City’s City Hall in support of City Council Resolution 549 (introduced by Donovan Richards, chair of the Environmental Protection Committee), calling on Governor Cuomo to veto the Port Ambrose proposal, March 16, 2015. On this map created by BCJN ally Sane Energy Project, the location of the Port Ambrose LNG terminal is marked by the two red dots. They are dead center in the only available area, indicated by the green triangle, for an offshore wind farm. The purple triangles are shipping lanes. Pre-hearing rally in support of NYC Council Resolution 549, lead by Council members Donovan Richards and Linda Rosenthal, with a strong turn-out by NYC fracktivist organizations including Sane Energy Project, 350NYC, Bronx Climate Justice North, Catskill Mountainkeeper, and many others, on April 1, 2015.